Excel2R imports MS Excel spreadsheets to Autodesk® Revit® Architecture / Revit® MEP / Revit® Structure projects with its design settings. Such data can be synchronized with the original MS Excel spreadsheet at any time. 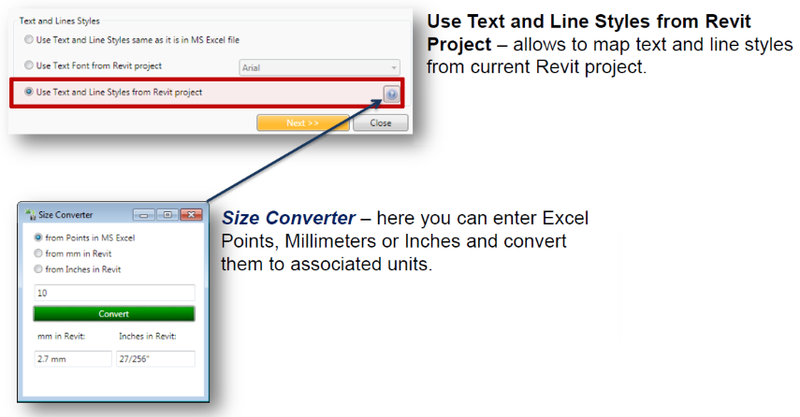 Can map Text and Line Styles between MS Excel and Revit project. 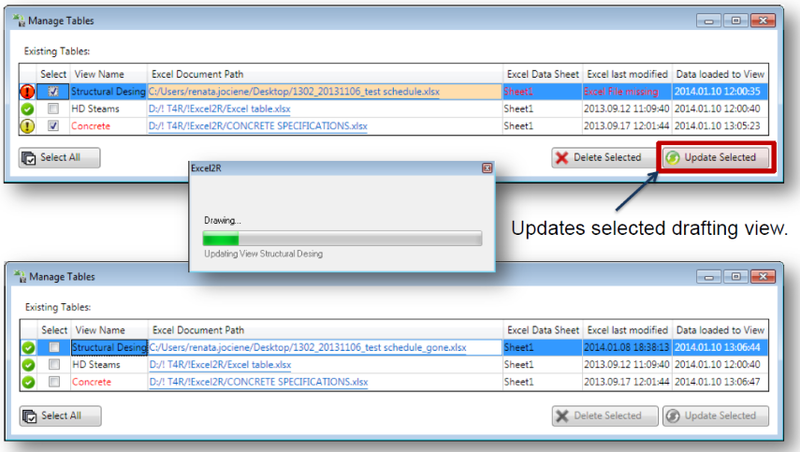 Excel2R helps make sure you always have up-to-date data in your Revit projects. 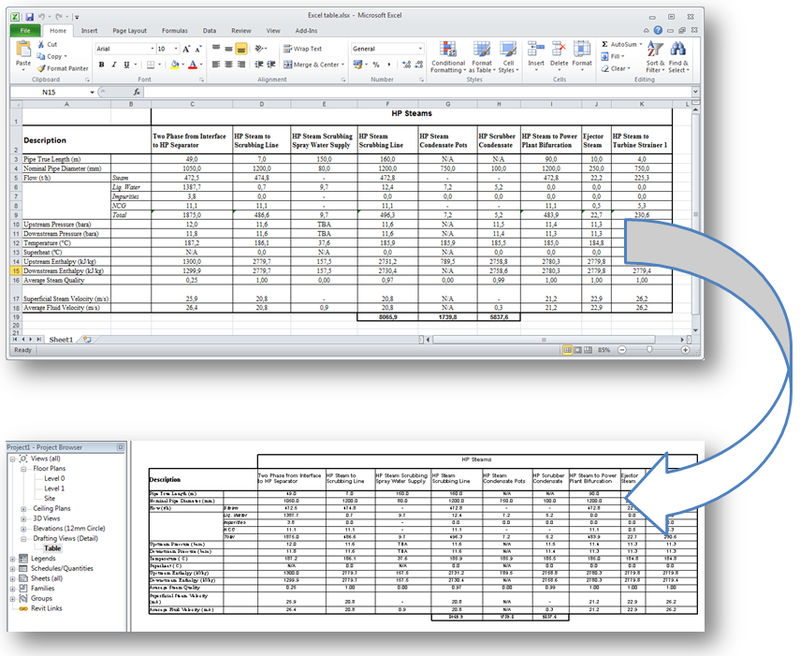 With Excel2R you can accelerate Revit project organizing and documenting processes with ease and accuracy. 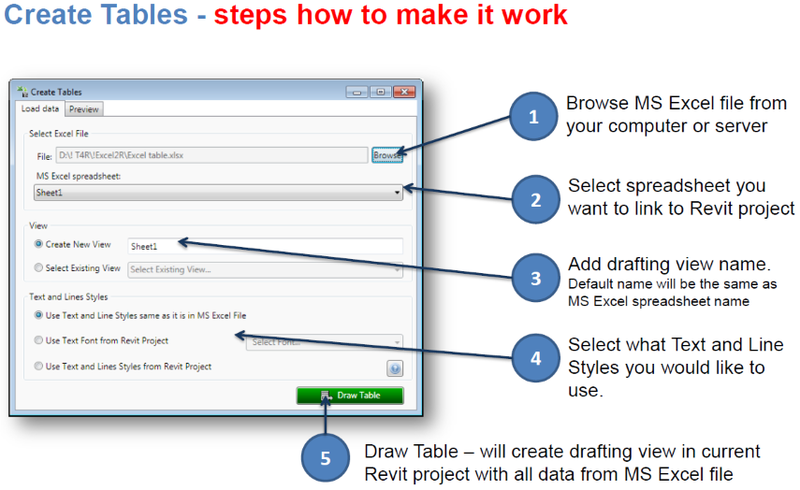 The add-on informs the Revit user when the MS Excel file was modified and it will be updated in the Revit project. It also reports if the original MS Excel file was deleted or moved to another place.